Apple Computer is currently battling a court order to help unlock an iPhone that was used by attackers in the San Bernardino, California Inland Regional Center incident on December 2, 2015, where 14 people were killed and 22 were seriously injured. Apple’s defense is that by forcing it to create code, it would amount to “compelled speech and viewpoint discrimination,” both of which are violations of the First Amendment right to free speech. “Under well-settled law, computer code is treated as speech within the meaning of the First Amendment,” the company said in its motion. The full text of the so-called free speech part of the Constitution is “abridging the freedom of speech”. Now, there are dozens of people on both sides of the law who can debate this topic, but the words themselves are clear. Congress shall make no law abridging the freedom of speech. Congress isn’t making a law abridging anyone’s freedom of speech, but Congress is instead enacting its power to provide for the common defense and the general welfare of the United States. No one is attempting to prevent free speech. The issue isn’t about free speech and using it as a defense is a non sequitur. The protection (common defense and general welfare) of the United States supersedes any personal rights, even those afforded by the first ten amendments to the Constitution. Apple’s argument is ridiculous and holds no water. The fact that Apple is refusing to comply places it in a precarious position with the government because it is impeding Congress’ duty to protect the United States from enemies both foreign and domestic. You have to really stretch the wording of “abridging the freedom of speech” to argue against assisting Congress in protecting the United States and its citizens. Unfortunately, Apple might not be able to comply with the order, even if it agrees to do so. I personally don’t believe that Apple can do what’s being asked of it, so the best defense is often a good offense. It would be better, in my opinion, to admit that you can’t do it and ask Congress to seek the assistant of someone else who can crack the device. Effectively, I see this situation as being similar to a guy who builds a bomb, but didn’t build any capability of disarming it. I think Apple built a device that it cannot “disarm.” The First Amendment is just “rabbit chasing” in order to not have to deal with the real issue–that Apple can’t crack its own device. Apple has pulled the pin and can’t put it back in. I think we should stop the legalese and get down to the business of protecting the people of the United States. Offer a reward to the programmer or hacker who can perform the crack and decryption. And just leave Apple out of the argument. 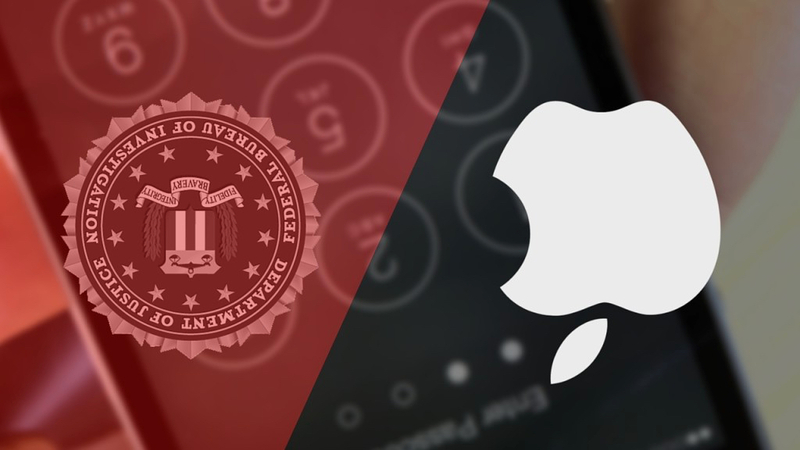 The FBI and the Court aren’t asking Apple to violate law, because there is probable cause. There are warrants. There is an investigation. There was a deadly attack. There are no Constitutional violations here. Apple is clearly stalling. Apple built something it can’t crack. Apple is in violation of a Court Order and used a defense that doesn’t make sense. The FBI and the Court should seek help from a competent source. I’m all for freedoms and I fully embrace the Constitution and all its amendments. And part of that embrace is that every citizen and every company of citizens must comply with the provision of the common defense and the general welfare of the United States. No individual’s rights are more important than everyone’s rights. The one thing we all have to remember is that, my rights begin where yours leave off–meaning that we all have the same rights. We have the right to be protected and we have the right to protect. And I don’t want to live in a country where my rights to be protected aren’t upheld by the Constitution or by the government. Apple’s act of defiance is selfish and contemptible. If I were a member of a victim’s family, I would sue Apple for its refusal to help. It is wrong for any entity to put itself above the law and above the safety and well-being of others. Whether Apple won’t or can’t comply with the court order is of great consequence to us all. My hope is that someone will step forward and take up the cause of unlocking the phone for the common good, be it Apple or someone else.